Go ahead and read that sentence again. Notice how it drips with condescension and arrogance. 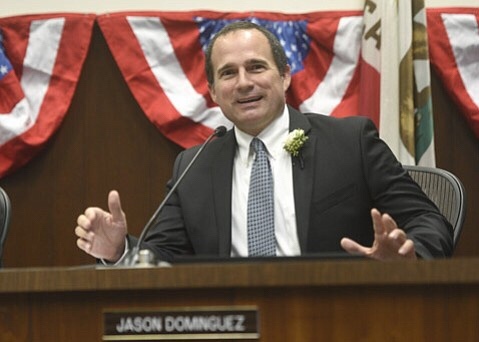 Thank Government we have superior beings like Dominguez watching over us, delivering us from our plebian foolishness. Who are we to handle the heavy responsibility of drinking straws? Even after being called out for his crap, he couldn’t even fake a proper apology. “I just wanted to apologize. A few weeks ago I made a string of words in a rhetorical fashion about regulation and they were not taken as rhetorical and that’s my fault so I want to apologize.” See that? He’s not apologizing for advocating totalitarianism. He’s not apologizing for infantilizing and insulting tax-paying citizens. He’s expressing sadness that we failed to understand him. Silly us! I guess we just don’t understand the subtle nuance of rhetoric. It’s a good thing we have Jay-Do to do the big-person thinking for us. No, wait. Trump 2020. LOOKS LIKE SWEDEN IS ON FIRE.....FOR DIVERSITY! YEAAAAAAAAH!